We’re halfway through 2018 and bathroom remodeling still ranks amongst the top home improvement projects for the year. The fact remains, more and more the bathroom is changing from a place to bathe to a place of personal peace. 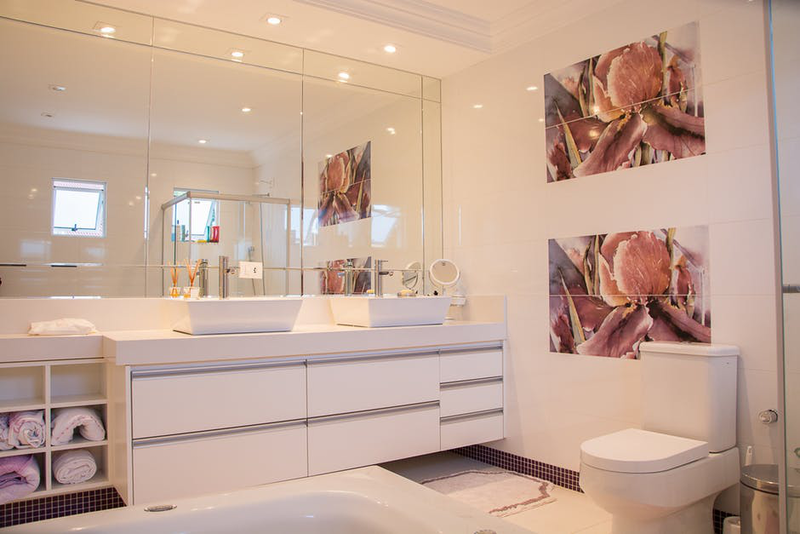 Bringing your bathroom into the 21st century can be a tough undertaking, but it is most certainly worth the effort. In today’s blog, we will discuss some of the aspects of bathroom remodeling that you should know about before you set out to remodel. As with all kinds of remodeling, we recommend ascertaining your budget before anything else. Further, setting aside 20% of that budget will allow you to take care of any unexpected costs that may arise during the remodeling process. Create a realistic expectation of what you can get out of your bathroom remodel by breaking down the remaining budget and allocating it to different parts of the bathroom. Form follows function, so above all prioritize your budget to bathroom fixtures. If you’re committed to getting a total bathroom remodel done, then you might be interested in changing the bathroom theme. It might be possible that you’ve had the same theme for years, or maybe you just moved into a house where the bathroom theme isn’t to your liking. Whatever the reason, having a themed bathroom rather than a plain bathroom creates an opportunity for matching decoration and design. After settling on a theme, you can work on the layout, materials, decorations, and services to hire. It’s easy to become overwhelmed by the variety of materials available for your bathroom. Some of the most common options for heating materials are steel or aluminum. For your furniture, you can go with either wood or ceramic or even combine elements of both to create a unique look. If you are considering the use of wood, be warned that using wood can become quite expensive, so it’s not a viable option if you’re on a budget. Now that you have a rough idea of what you need out of your remodel project and how much you can spend, get in touch with a professional modeling service that can give you a better cost estimate as well as identify how long such a project will take. Try and get estimates from a few different companies and get in touch with past clients for the companies to see how their experience with the service was. That just about wraps up our list of aspects you should know about when looking to remodel your bathroom. If you live in the Shreveport area and need further assistance planning your bathroom remodeling, we have upwards of 30 years of experience ready at your disposal. Get in touch and find out how you can turn your bathroom into the most beautiful place in the house.